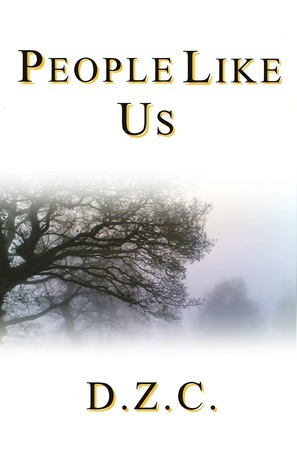 Indie Challenge 8 – People Like Us by D.Z.C. Good morning! I had a very entertaining weekend! I read two books by the amazing D.Z.C., and have found myself a new author to stalk. While his books are very outside my preferred genre and comfort zone, I found his writing style absolutely addicting. I. Must. Read. More. And I did :) Come back on Wednesday for my review of Xanadu. Anyway, here’s the review for People Like Us. Well now, that was a rush at the end. First, let me tell you: I’ve already bought the second book. I’m not ‘going’ to buy it, I’m not ‘looking forward’ to it. I bought it. The instant I finished People Like Us, I bought it. Why, you might ask? Sit back and let me explain. I have so many other quotes I’d rather use but I fear they might be spoilers for those trying diligently to figure everything out. These little tidbits of amazing description and aloof outlooks towards things most would find appalling was oddly addicting. D.Z.C. is an amazing writer and I am captivated by his skill. Let me just tell you, there was one part that I was dying! It involves a shotgun and a face. I seriously couldn’t stop laughing. It’s kinda sick, but I couldn’t help it. It was the way the scene was written. Hopefully, if you ever read it, you’ll not think me a horrible person for finding the scene so hilarious. You’ll notice this book took me quite a while to read, which is out of character for me. Usually when I start a book I stick to only that book until I’m finished. If I would have stopped reading at any point up to 3/4’s completion, I would have rated this book a 4. It was the ending that shot it up to 5. The reason I was more inclined towards 4 in the beginning was because it had a very slow start, for me, anyways. Furthermore, there were soooo many references to stuff I just didn’t get. I’m a rather sheltered girl who is unworldly, to put it mildly. So a lot of stuff hung me up. However, when I sat down with it yesterday–I was only 35% done–, I decided to forgo trying to understand every reference and just read for the story and characters. Once I did that, it went by much quicker and I sailed through the book. The ending was a rush of events with a closure that left me grinning. As much as I love and am fascinated by Nicolas, there are things he does that I’m not supportive of, yet I couldn’t help but smile at him. Don’t go into this book expecting a perfect little hero wrapped up in a bow. There are no heroes in this book. There are life-like people doing things tons of people do, while other things are a little more fictional, or at least not as common. Also, do not expect a nail-biter of a book. This is a slower read with a lot of getting involved in the…community the book is set in. If you pay attention, it all kinda connects. There are some grievances out there that this had loose ends. It sure did, and I didn’t mind one bit. This is told from purely a first person perspective, so what our narrator doesn’t know, we don’t. I’m fine with that. I know there is a second book and maybe we’ll get some answers. Maybe we won’t. But it wasn’t a hang up for me. I enjoyed having these tiny unknowns floating around. It just made the book that much more mysterious and further immersed me. Overall, it was the writing and these two beautifully imperfect characters that has me picking up the second book.